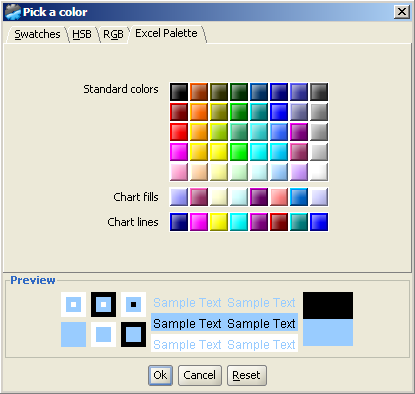 Excel offers only 56 colors in its standard palette. Java color chooser allows to select colors that are not understand by some Excel versions. In this way, we are sure that the selected colors will be the same in the generated excel file. How do you make your reports? How do you use your reports? How do you configure your reporting platform? What makes NextReports a very competitive reporting framework? 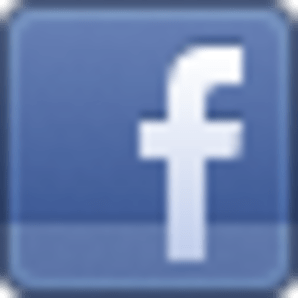 Working with Java since 1998 with focus on both server back-end and UI. In the late 90's till 2003 when not so much frameworks were present I was involved in proprietary server implementation (with all the technology from that time like RMI, JDBC, transactions, Servlets, XML, XSL), user interface with SWING and a lot of algorithms for agriculture business. From 2008 I was part of NextReports, starting with designer development in SWING. Then NextReports Server came to life and new technologies were adopted : Spring, JPA, JCR, Wicket, jQuery, Jersey, Maven, Ivy, Git, Android. Since starting of 2014 I developed a HTML5 library called NextCharts which can be found on github. I’m currently part of the NextReports developing team at Advantage Software Factory, a local leading provider of business software solutions. NextReports is a business reporting suite composed of reports designer, reporting engine and reporting server. Besides this product, ASF also developed a debt collection software and a CRM solution.